Select a Season. Click on a month/contest type. Click the Report box to toggle between photos and scores. Click on a photo to see a larger version. 1. Print size may be 3 1/2 x 5″ to 16 x 20″ for internal competition. 2. All prints must be mounted with “TOP” printed on the back, title & your name. 3. Mounts must be at least 8 x 10″ and no larger than 16 x 20″. 4. Entries must be registered before 7:00 PM on the night of the contest. Entries received later than 6:50 PM may be rejected from that contest at the discretion of the registrar. The PSV Photo Club uses an internet upload program for its competition submissions. The following explains how to enter pictures for the competitions. Please note that you must be a club member to submit photos. This is the link to Photo Contest Pro, the Digital competition upload website. 1. 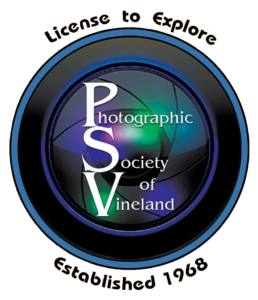 When you go to the PhotoContest Pro page you will be directed to log in (upper right hand corner of the page) using your Email address, the password you use, and select Photographic Society of Vineland from the Organizations drop down menu. 2. After logging in, select “Submit Pictures ” from the top of the page. At the bottom of the next page click on “METHOD #2″ Select the CONTEST that applies. 3. On the page that opens, just follow the instructions, providing a title for your picture, and then browse for your picture, and upload it. Your pictures will be listed after you upload them. Please note that the system is fully automated through software and we will not be able to help you with problems or enter pictures after a contest’s closing date. Resolution: The maximum dimension shall be no larger than 1050 pixels in either direction. must be at the maximum (viz. 1050 pixels). Click here to access the Digital Upload website: http://www.photocontestpro.com/. Entries shall be judged by a panel of Judges selected from the Club’s Medal holders on a rotating basis. The voting machine will be used and Judges shall score from one (1) to (9) on each entry . All ties shall be broken. All First, Second, Third and Honorable Mention winners throughout the year shall be eligible. There must be at least ten (10) eligible entries in a division to justify a judging in said Division. First, Second and Third Places will be awarded in each Division. We can’t help you after the closing date!